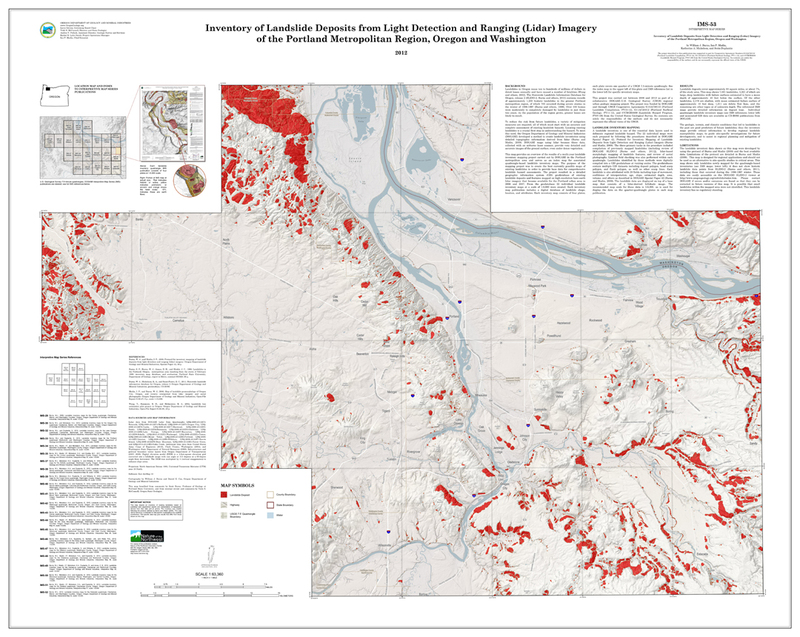 Project: This map was created as an index for DOGAMI’s Interpretive Map Series Landslide Quadrangles in the Portland metro area. 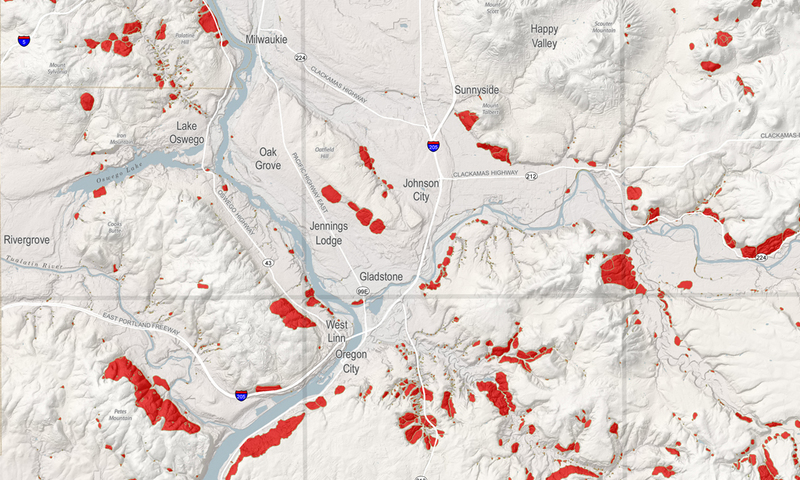 The map is a small-scale overview of the highly detailed, larger-scale landslide maps. With that in mind, the landslides were all given the same color value and placed on a light gray background to make them more visually distinct at the smaller-scale. In addition to standard physical and political features, light gray quadrangle boundaries were added to the map for the user to clearly find their area of interest within the region.